Whether you’re an Olympic athlete, or a weekend warrior, this is a great snack mix for men (or women) everywhere. Boost your power with our SunRidge Farms Men&apos;s Energy Mix. Made with the freshest ingredients that meet the specific needs of a man&apos;s body. This mix is sure to taste wonderful and provide energy. Great stuff for guys (or girls) aspiring to greatness. 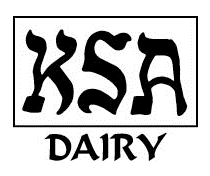 Kosher (with Dairy). and yes, this mix is great for Women too. Let&apos;s not let gender interfere with great foods...a portion of sales of the Men&apos;s mix go to Men Health organizations. Try our Women&apos;s Vitality Mix for a more specific formulation for women that also tastes great and can be enjoyed by guys. CAUTION: DRIED CHERRIES MAY CONTAIN OCCASIONAL PITS.